Looking For The Best Dog Food With Glucosamine and Chondroitin? 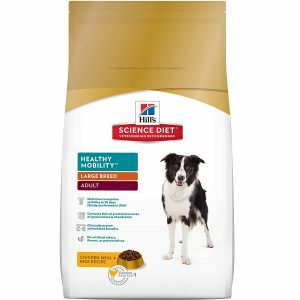 Here’s a look at our favorites, including our top pick – Hill’s Science Diet Adult Healthy Mobility Large Breed Dry Dog Food. 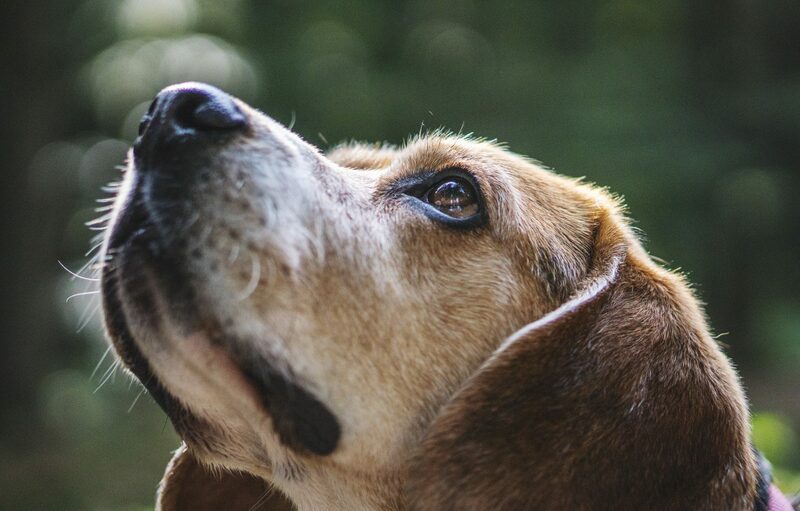 If your dog is showing signs of decreased mobility, or if you’re looking to proactively prevent mobility problems by building strong joints, you need to choose a dog food that has concentrated levels of glucosamine and chondroitin. Glucosamine and chondroitin – if healthy joints and mobility are your primary concern, then glucosamine and chondroitin need to be listed on the label. Omega-3 fatty acid – this antioxidant works well with glucosamine and chondroitin to promote healthy cartilage and joints. Omega-3 fatty acids usually come from fish oil. Real meat is the #1 ingredient – unless you’re getting a vegetarian blend, never buy dog food that doesn’t list real meat as the #1 ingredient. High-quality protein comes from high-quality meat, not the fillers and meat by-products that you see on the label for cheap dog foods. 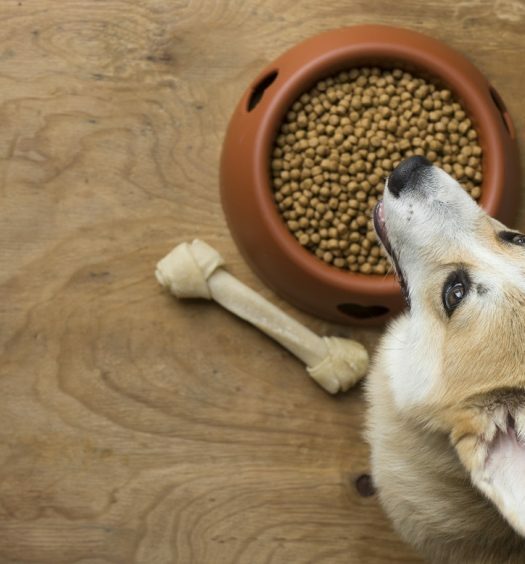 Easy digestion – if your dog has a sensitive digestive system, look for foods that have concentrated doses of fiber along with guaranteed levels of probiotics. Both of these help to regulate the digestive system, and make your dog’s food much easier to digest. Large kibbles for large dogs – if you have a large- or giant-breed dog, you’ll want to get dog food with larger kibbles. This will make the food easier to eat, and it helps to reduce tarter buildup on their teeth. L-Carnitine – this is one of the key nutrients that aids in developing strong, lean muscles. Calcium – you’ve seen enough milk commercials to know that calcium helps build strong bones. Here’s a lesser-known fact—it also strengthens your teeth, which is important for dogs. Artificial colors, flavors, preservatives – avoid these like crazy Aunt Beth at your family Christmas party. Any interaction is certain to be negative. 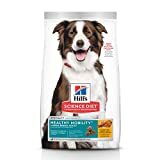 Hill’s Science Diet dog foods are the #1 choice that most veterinarians use to feed their own dogs, so you know you can trust them to provide your dog with purposeful, balanced nutrition. 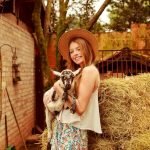 They actually employ over 220 pet nutritionists, scientists, and veterinarians to develop their premium food products, and all of their food is made in the United States to ensure quality. 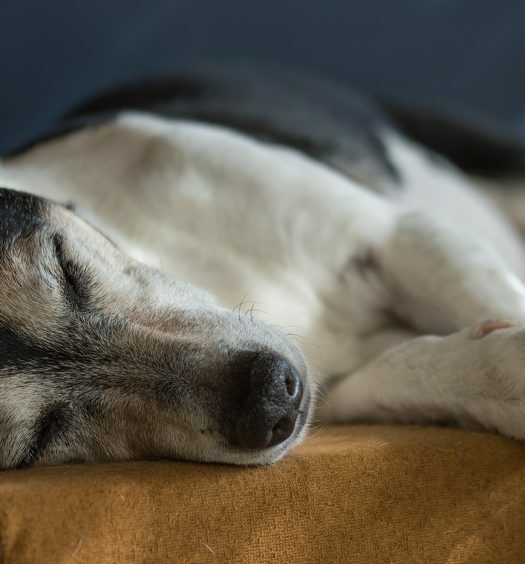 This particular mix is recommended for dogs that are over 55 pounds (they have a Small Breed Mobility mix with glucosamine and chondroitin, too). In addition to the extra dose of glucosamine and chondroitin, Hill’s includes rich omega-3 fatty acids from fish oil to promote maximum mobility, strong cartilage, and healthy joints. All Science Diet formulas use high-quality protein to promote lean muscle growth, along with a clinically proven antioxidant blend that aids supports a good immune system. And of course, you’ll never see any artificial flavors, colors, or preservatives. Diamond Naturals is a family owned and operated business that makes all of their food right here in the United States. Their goal is to provide complete, holistic nutrition. They only use ingredients from trusted, sustainable sources, and everything is 100% natural—no fillers like wheat and corn, and no artificial flavors, colors, or preservatives. Their Senior Dog formula is made with cage free chicken, high-protein eggs, and oatmeal. It’s packed with vitamins, minerals, and superfoods, and enhanced with glucosamine and chondroitin for healthy joints. The mix also includes probiotics and extra fiber to promote a healthy GI tract and easy digestion. 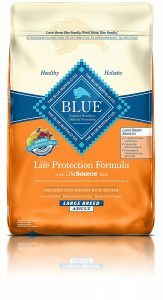 The BLUE Life Protection Formula is the original mix that got Blue Buffalo started years ago, and it’s still one of the best dry dog foods on the market. Every bag starts with real, high-quality meat, and is rounded out with delicious fruits, vegetables, and whole grains. Next, they add their proprietary LifeSource Bits—a special kibble that’s enhanced with vitamins, minerals, and antioxidants for targeted nutrition. These special kibbles are actually processed at a lower temperature than other ingredients to preserve potency and prevent degradation. This particular mix is engineered for large breed dogs with extra L-Carnitine for lean muscles, calcium for bone development, with glucosamine and chondroitin for healthy joints. If you have a large- or giant-breed dog, you should take a look at Eukanuba’s Large Breed mix. Real chicken is the first ingredient, and every bite is packed with natural sources of glucosamine and chondroitin sulfate to help your dog maintain strong, healthy joints. There’s a specialized fiber system made from natural beet pulp and prebiotic FOS, which helps with nutrient absorption and a healthy digestive system. It also includes omega-6 and omega-3 fatty acids that are great for promoting healthy skin and shiny coats. The Large Breed mix contains larger kibbles that are better for larger dogs, and they help to reduce tarter buildup while chewing. If you’re looking for a dog food with glucosamine and chondroitin at the best price and value, this is the one for you. Iams Proactive Health dry dog food mix uses real chicken as the first ingredient, and it’s packed with wholesome grains, fruits, veggies, and beet pulp for nutritional value. Iams designed this mix with a five-point benefit system in mind: vitamin E and beta carotene for a strong immune system, high-quality protein for strong muscles, L-carnitine for a healthy metabolism, glucosamine and chondroitin for joint mobility, and crunchy kibbles to reduce plaque and promote good dental health. Like all of the other dry food that we’ve discussed, this mix uses only high-quality ingredients with no fillers. I’m a huge fan of Blue Buffalo’s natural pet foods, so their Life Protection Formula would probably be my first suggestion. 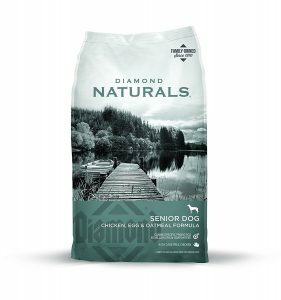 That said, the Diamond Naturals Senior Dog Formula is highly rated and recommended, so it’s a solid pick, too. 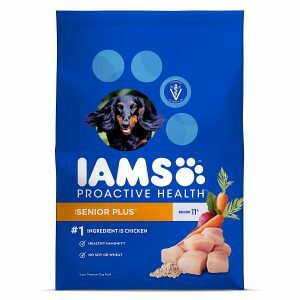 If you’re on a budget, the Iams Proactive Health Senior and Mature mix is probably your best bet. It doesn’t have the enhanced nutrition that the Blue Buffalo and the Diamond Naturals dog foods offer, but it’ll give your dog the higher levels of glucosamine and chondroitin they need for strong joints and better mobility.